Kalypso Media and SomaSim are pleased to announce that Project Highrise: Architect's Edition will be cutting the ribbon on 26th October on Nintendo Switch, PlayStation®4 and Xbox One in Europe. A North American release will follow on 13th November. 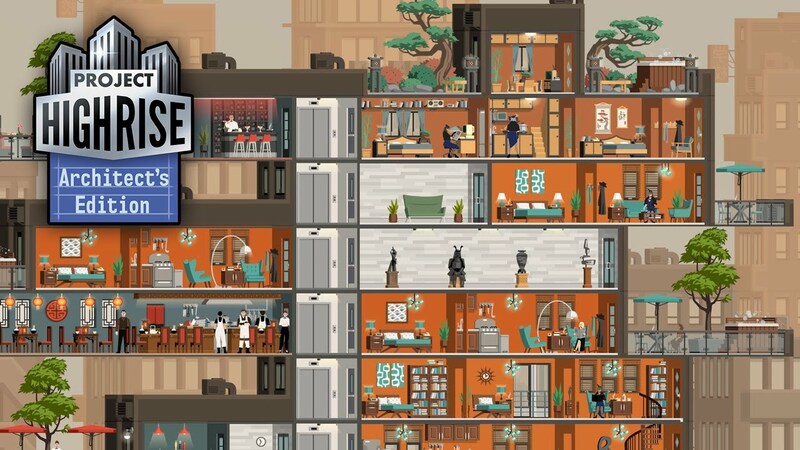 Project Highrise: Architect's Edition is Kalypso Media’s debut title for the Nintendo Switch, expanding the publisher’s commitment to developing high-quality strategy and simulation games across platforms, for gamers everywhere. Project Highrise: Architect's Edition will include all previously released DLC packs, including Las Vegas, Miami Malls, Tokyo Towers, London Life along with the new Brilliant Berlin DLC pack. Gamers can pre-order the game today on the Xbox Games Store and PlayStation Store. From the moment you break ground, every decision rests with you. As the architect, you must coordinate the construction of everything - every wall and wire, every office and apartment. As the building owner you must keep your tenants happy - and paying rent on time. As a savvy developer you must keep an eye on the bottom line and invest in the future. Succeed and you will reap the rewards of a prestigious address where everyone will clamor to live and work. Fail and you will watch tenants leave in disgust, taking their business elsewhere and leaving your reputation in tatters. The console version contains the Project Highrise base game along with the Las Vegas DLC and content packs Miami Malls, Tokyo Towers, London Life and the brand new Brilliant Berlin. Experience a deep and complex simulation of a modern skyscraper. Conquer the campaign over 29 challenging scenarios. Project Highrise: Architect’s Edition will launch on PlayStation®4, Xbox One and Nintendo Switch in on 26th October 2018 in European and export territories, and on 13th November 2018 in North America.